This is the manifestation of rampant “cloud washing.” Some cloud washing is accidental and a result of legitimate confusion, but some is also based on a mistaken mantra (fed by hype) that something cannot be “good” unless it is cloud. IT organisations are also increasingly calling many things cloud as part of their efforts to gain funding and meet nebulous cloud demands and strategies. The resultant myth is that people are falling into the trap of believing that if something is good it has to be cloud. Related to Myth 2, he says this refers to the belief that the actual characteristics of the cloud are applicable to, or desirable for, everything. Clearly, there are some use cases where there is a great fit, however, not all applications and workloads benefit from the cloud. Unless there are cost savings, moving a legacy application that doesn’t change is not a good candidate. Cloud computing is not one thing and a cloud strategy has to be based on this reality. Cloud services are broad and span multiple levels (IaaS, SaaS), models (“lift and shift”, cloud native), scope (internal, external) and applications. A cloud strategy should be based on aligning business goals with potential benefits. Those goals and benefits are different in various use cases and should be the driving force for businesses, rather than any attempts to standardize on one offering or strategy. Cloud computing is not all or nothing. It is being adopted in steps and in specific cases. Therefore, it is not surprising that early use cases are mainly not for mission-critical systems. However, many organisations have progressed beyond early use cases and experimentation and are utilising the cloud for mission-critical workloads. There are also many enterprises (not just small startups any more) that are “born in the cloud” and run their business (clearly mission-critical) completely in the cloud. Don’t assume that “migrating to the cloud” means that the characteristics of the cloud are automatically inherited from lower levels (like IaaS), . Cloud attributes are not transitive. Distinguish between applications hosted in the cloud from cloud services. There are “half steps” to the cloud that have some benefits (there is no need to buy hardware, for example) and these can be valuable. However, they do not provide the same outcomes. Virtualisation is a commonly used enabling technology for cloud computing. However, it is not the only way to implement cloud computing. Not only is it not necessary, it is not sufficient either. Even if virtualisation is used (and used well), the result is not cloud computing. This is most relevant in private cloud discussions where highly virtualised, automated environments are common and, in many cases, are exactly what is needed. Unfortunately, these are often erroneously described as “private cloud”. Avoid “one size fits all” and overly simplistic answers to complex situations,” he states. The cloud is not one thing. Facebook is talking to Apple about crafting a version of its new mobile software for the iPhone, in a push to boost revenue from the growing number of users who access the social network on smaller screens. After debuting the software, called Home, for Google’s Android operating system earlier this month, the operator of the world’s biggest social-networking service is speaking to Apple and Microsoft about expanding to other platforms, said Adam Mosseri, director of product at Facebook. The talks are ongoing and nothing has been finalised, he said. Now that the majority of users access Facebook via mobile devices, chief executive Mark Zuckerberg is looking for ways to keep them engaged longer and coaxing more advertisers to pay to place promotions. While Google’s Android software powered about 70 per cent of smartphones worldwide last year, Apple’s iOS operating system commanded about 21 per cent, according to Gartner. Jen Martin, a spokeswoman for Apple declined to comment. Bill Cox, a spokesman for Microsoft, didn’t respond to an email seeking comment. Already, Facebook and Apple have a “great relationship”, Zuckerberg said when he introduced the Home software earlier this month. On iPhones, the Home software would be tailored to what Apple prefers, Mosseri said. It could look much different to the Android version. The new Home software is designed for newer Android handsets, including some made by Samsung and HTC. Home, which will have monthly updates, can be installed from Google Play, Google’s online app store. While the program will not initially have advertising, Zuckerberg said promotions will be included in future updates. Despite many registering their ‘dislike’, the social network’s new features are here to stay. WHEN Facebook revamped many of its most heavily used features lately, millions of users were not exactly happy. For days, the hashtag #newFacebook on Twitter was a litany of complaints: the new features were too busy, too complicated, too ”un-Facebook”. But the changes – which chief executive Mark Zuckerberg and the Facebook brains trust see as the most important since the addition of games and other software apps in 2007 – are not going away. Perhaps the biggest innovation, a feature called Timeline, which Zuckerberg calls ”the story of your life”, isn’t even officially available yet. Facebook is taking the main feature people use to keep up with the activities of their friends and splitting it into two: Ticker and News Feed. The significant addition is Ticker, a virtually unfiltered, automatically updating stream of the actions of your friends. Ticker, which scrolls down the upper right side of the home page, is supposed to provide a real-time sense of what your friends, and the brands and businesses you like, are doing at any moment. By clicking a Ticker item, you can join in instantly – from sending a happy birthday wish, to friending someone your friend is friending, to listening to the new Wilco album through the Spotify app. The stream of Stories that runs down the centre of the home page is still there but it has been changed. Since it was launched five years ago, News Feed has been a primary way people keep track of their friends. ”[It] is the lifeblood of Facebook,” says Meredith Chin, a communications manager for the company. You used to be able to toggle back and forth between Top Stories, the posts Facebook’s algorithms judged most interesting to you, and Most Recent, the freshest content. Now, there is one News Feed with the content Facebook judges to be most interesting based on your interests and social connections. Relationships on Facebook used to be two-way connections; both parties had to agree. Now the Subscribe button allows you to create one-way relationships with anyone, just like Twitter. Celebrities or leading business figures on Facebook are unlikely to agree to friend requests from millions of fans. But by visiting their profile pages and clicking Subscribe, every post publicly shows up on a News Feed. Existing friends are automatically subscribed to each other but the feature allows you to adjust whether you want to see all their posts, some of them or only the most important ones – useful for people you don’t dislike enough to unfriend but who share too much. SOCIAL NETWORK SITE THAT WAS OPERATING & BETTER THAN FACEBOOK.SO WHAT WENT WRONG.THE STORY IS…. Also in Slate, predict how much The Social Network will take at the box office. Adam Goldberg In a parallel universe, there is a blockbuster movie coming out soon about a Web site that changed the world. It’s called The Social Network. It stars Jesse Eisenberg as the site’s wunderkind creator. It features wealth and drama and Ivy League shenanigans. But it’s not about Facebook. It’s about another site, Campus Network, and its founder, Adam Goldberg, a guy who came within arm’s reach of a multibillion-dollar idea that ultimately just slipped his grasp. As The Social Network dramatizes, Mark Zuckerberg founded Facebook after allegedly backing out of a commitment to work on another networking site, Harvard Connection. Lawsuits ensued, and Zuckerberg ended up shelling out tens of millions of dollars in a settlement with his one-time partners. What the film doesn’t mention are all the other college social networks that Facebook shoved aside as it expanded across the country. Of those sites, perhaps the greatest threat to Facebook’s dominance was Campus Network, then called CU Community after Columbia University, where it was founded. “If you talk to Mark, he’ll be the first to tell you he thought CU Community was the biggest competition that Facebook ever had,” says Goldberg, now 26 years old and living in New York City. While I was unable to confirm that Zuckerberg agrees with this statement—the Facebook CEO and the company’s PR reps didn’t respond to my requests for an interview—it is true that Facebook and CU Community were running neck and neck for a brief moment in Internet history. Facebook had Harvard, CU Community had Columbia, and both were mulling plans for expansion. Only one site would survive. It wasn’t to be Adam Goldberg’s. 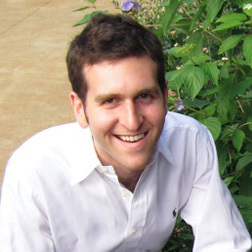 Goldberg got the idea for Campus Network in 2003, during his freshman year at Columbia’s school of engineering. As president of his class, he heard a lot of complaints about the university’s lack of community spirit. Over the summer, he wrote a simple script for a social network for engineering students. The site let users share personal information, post photos, write journal entries, and comment on one another’s posts. In just a few weeks, Goldberg says, most of the engineering students had profiles. Over winter break, he rebranded the site CU Community and opened the site to all undergraduates in January. Goldberg says that nearly all Columbia students signed up in just over a month. As of early 2004, Goldberg’s social network was a lot more advanced than Mark Zuckerberg’s. The first incarnation of Facebook—known as The Facebook back then—let users post a photo and basic biographical information. It let them “friend” and “poke” each other. But that was about it. Fancier tools like photo sharing and Groups and the Wall didn’t come till later. Meanwhile, CU Community already had blogging and cross-profile commenting. Facebook’s simplicity and the fact that it was available only to Harvard students made it easy for Goldberg to dismiss. “We were the Columbia community, they were Harvard,” he says. The illusion of safety crumbled a month later when Facebook opened its doors to students at Stanford, Yale, and Columbia. While Facebook grew exponentially at Harvard and Stanford, growth was slower at Columbia—in part, says Goldberg, because CU Community was already so entrenched. Some Columbia students launched a campaign to “Google bomb” Facebook by linking the search term “cucommunity ripoff” to TheFacebook.com and “worthless safety school” to Harvard.edu. The Columbia Spectator called the effort “marginally successful.” (I wrote for the Spectator at the time.) Despite this online agitprop, Facebook continued to grow. That summer, it overtook CU Community as the most popular social network on campus. That spring, Goldberg started instant messaging with Mark Zuckerberg. In March, he met with Zuckerberg and Sean Parker, the Napster co-founder and early Facebook investor, at a Starbucks on 96th Street. According to Goldberg, Parker tried to persuade Zuckerberg to acquire CU Community. Zuckerberg didn’t tip his hand, but Goldberg says they kept in touch. In June, he says, Zuckerberg invited him to Palo Alto, Calif., where the Facebook crew had moved to work on the site. Goldberg flew out and stayed with Zuckerberg and pals for two weeks. “I think we went to one Stanford party,” he says. There was “no crazy partying or drinking,” Goldberg says, despite what The Social Network may suggest. The invitation to come to Palo Alto was basically a job offer, says Goldberg. “They didn’t give me a clear salary and working terms. It was, Come out here and work with us.” He remembers that Zuckerberg even offered to pay for Goldberg’s flight. Beating Facebook would take all the time, energy, and cash that Goldberg had. He and Ting decided to take time off from school. 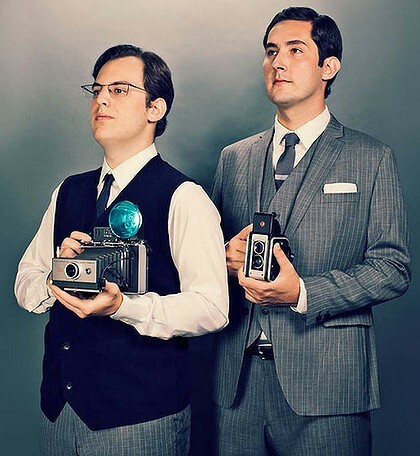 They moved to Montreal, hired three employees, and set up shop in the offices of a programmer friend of Goldberg’s. They slept on the office floor. Every morning, they woke up early and put away the air mattresses before the employees arrived. “We didn’t want them to know we were homeless,” says Ting. It quickly became clear that Facebook was winning. One factor was that Zuckerberg’s site had the financial means to expand. Goldberg says he turned down advertisers, including MTV, and didn’t seek out venture capital: “We would have if we thought the reason we couldn’t succeed was because of money.” By the time Facebook hit 1 million users, Campus Network had only 250,000. Goldberg knew there was no catching up. He returned to Columbia in the fall of 2005 and shut down Campus Network. Goldberg declined to put a figure on how much the whole effort cost him, but Ting estimated it was somewhere between $100,000 and $200,000. In the meantime, Goldberg had launched a social network for high schools called Friendex. But he says he killed the project after a month at the request of Zuckerberg and the Facebook team. “They made me feel really bad for having launched it,” he says. “So I took it down.” Facebook soon expanded to high schools. Why did Facebook succeed where Campus Network failed? The simplest explanation is, well, its simplicity. 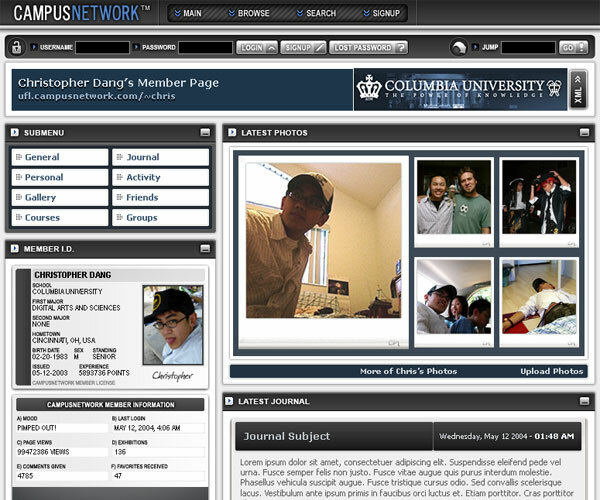 Yes, Campus Network had advanced features that Facebook was missing. But that wasn’t necessarily a good thing. Goldberg’s site smothered the user with doodads. Its pages were fully customizable, with multiple designs and backgrounds, not unlike MySpace. To sign up for Facebook, on the other hand, users had to fill in three fields: name, email, and password. User profiles were uniform, their contents intuitive—favorite movies and relationship status and class schedule. While Campus Network blitzed first-time users right away, Facebook updated its features incrementally. Facebook respected the Web’s learning curve. Campus Network did too much too soon. Neither site, of course, can claim to be the first social network—Friendster and MySpace already had large followings in 2003. But both Facebook and Campus Network had the crucial insight that overlaying a virtual community on top of an existing community—a college campus—would cement users’ trust and loyalty. Campus Network figured it out first. Facebook just executed it better.